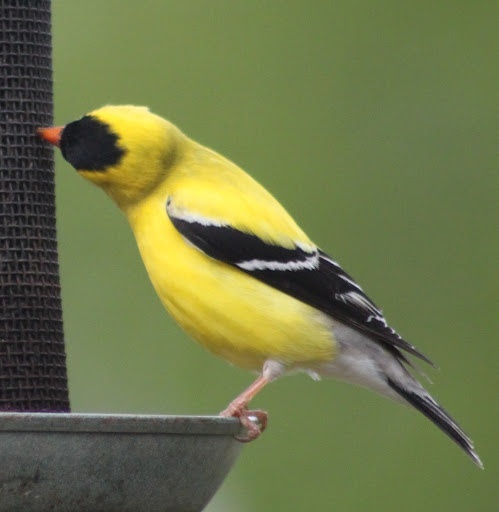 I always look forward to the coming of Spring; its arrival is heralded with the song of yellow finch as they eat from the thistle filled feeder hanging from a tree. They are often joined by their redheaded cousins, and cardinals eat from another feeder close by. These brightly colored birds do something that we generally associate with human activity. I’m speaking of praise and worship. In Psalm 148:1-4, it is clear that God’s creation is to actively praise Him. When you skip down to verse 7, it suggests that the song of the bird is an act of praise to God. I want to encourage you to give some consideration to what you say today. When you make a choice of words, make sure they are choice words. Your choice of words will define you. Are you known more for your tongue lashings or for your words of grace and encouragement? Birds sing because they have a song, and you should praise God because he has put a new song in your heart.